The cabin was spacious and clean. We did not use any facilities at the property since we arrived late afternoon and left the next morning. 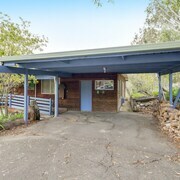 Beautiful setting,spacious accommodation and well appointed games room and pool facilities.Playground also a bonanza for the grandchildren. Which hotels are closest to the Metung airport? 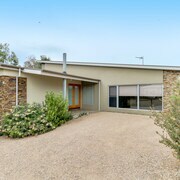 Where to stay near top Metung attractions? What kind of hotels are in Metung? 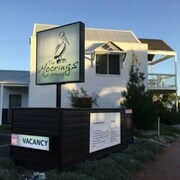 Which hotel chains are in Metung? 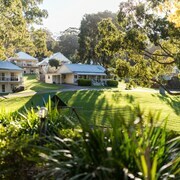 Visitors to Metung are sure to enjoy the lakeside and spas. Tourists can also enjoy all the city has to offer including its bars. 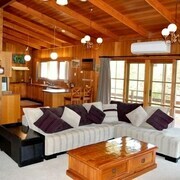 In Metung, there are 9 hotels and other accommodations to choose from. 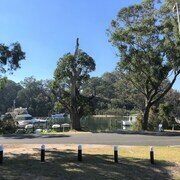 Places to visit in the larger region include Nyerimilang Heritage Park, Lakes Entrance Lookout, and Koala Trail. In the area, you'll also find Lakes Entrance Visitor Information Centre and Griffith's Sea Shell Museum and Marine Display. 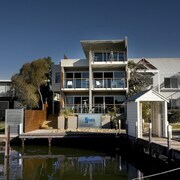 5 Knots Metung - Amenities at this 5-star apartment include free parking and an in-room kitchen. It's a favorite with Expedia travelers for its family-friendly amenities and bathrooms. 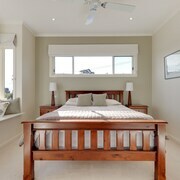 Edgewater Terraces at Metung - Our customers like the location at this vacation home. This 3.5-star vacation home features an outdoor pool, free WiFi, and free parking. 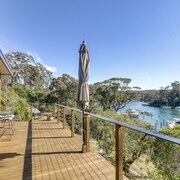 The Moorings at Metung - With a stay at this 4.5-star apartment, guests can enjoy access to a marina and an outdoor pool, along with free WiFi. Expedia customers like its beach locale and pool. Metung is a tiny village located near the Gippsland Lakes of VIC. Come here for relaxed holidays on the calm shores of Lake King. Boating and fishing are the most popular activities in the area, but if you don’t bring your own boat, you can always rent one or embark on a cruise. Meanwhile, scenic bushwalking trails entice those that prefer to stay dry. Visit Griffith’s Sea Shell Museum and Marine Display, or head to the Robb Street Gallery. While you’re in town, watch the daily pelican feeding, and dine alfresco at one of Metung’s waterside restaurants. Whether you’re travelling with your whole family or escaping on a solo adventure, Metung is just the place for you. 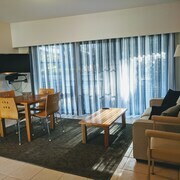 Metung accommodation is varied and suited to every budget, so don’t stress about finding lodging within your price range. 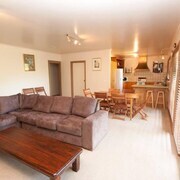 Choose from several resorts, motels, and self-contained apartments. 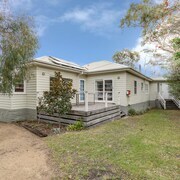 Most accommodation in Metung is conveniently located right at the water. Still looking for more options? 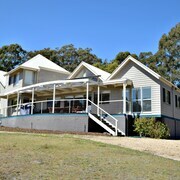 Nearby Lake Entrance and Bairnsdale offer additional lodging just outside of Metung. 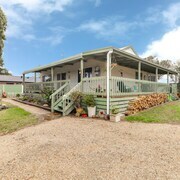 Easy to reach via Princes Highway, Metung lies 310 km east of Melbourne. Fly into Melbourne Airport (MEL), and then travel to Metung in a rental car. You can also take public transportation from Melbourne to Metung, but because there is no direct line, it will require multiple transfers. 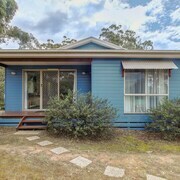 Expedia.com.au offers a great selection of accommodation in Metung, VIC. Browse our specials for Metung motels and book your holiday knowing that your reservations won’t break the bank. To save even more, bundle your lodging and airfare in one of our convenient travel packages. This lakefront destination is waiting, so make your reservations today. 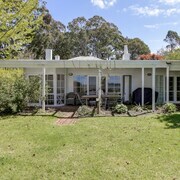 What are the most popular hotels in Metung? 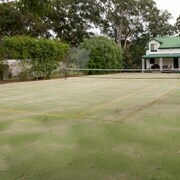 Are there hotels in cities near Metung? 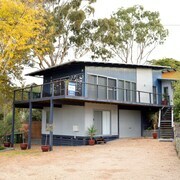 Explore Metung with Expedia.com.au’s Travel Guides to find the best flights, cars, holiday packages and more!